Are we really gonna get the band back together? Who you gonna call to direct "Ghostbusters 3?" Ivan Reitman. "Yes," he said, when asked by MTV News if he would be returning to the franchise as director. The director's last effort behind the camera was 2006's "My Super Ex-Girlfriend," starring Uma Thurman and Luke Wilson. He directed both of the original 1980s "Ghostbusters" films. And he said that work on the long-rumored third film was underway. "They have delivered a draft," he said of writers Lee Eisenberg and Gene Stupnitsky, who previously wrote "Year One" together. "We are working our way through another draft… good work is being done and all of us have our fingers crossed." Though he wouldn't comment on plot specifics, Ivan said fans have much to look forward to. "There's some very cool things in the new draft, let's put it that way," he said. 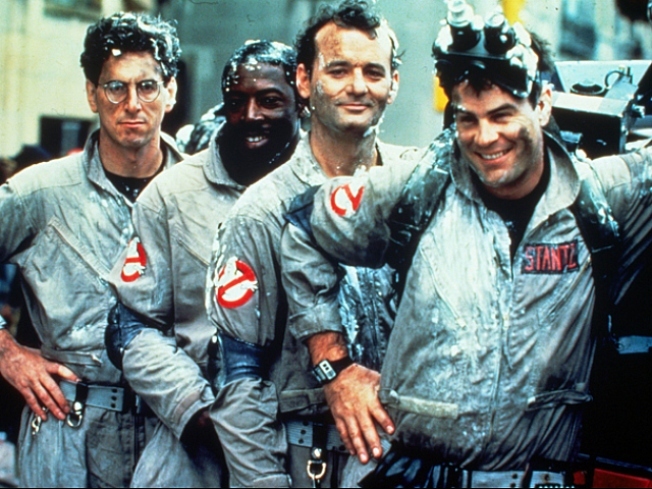 "Ghostbusters 3," which is expected to see a younger generation taking over from the original cast, will hopefully "start shooting in this next year," he confirmed, with a 2011 release likely.